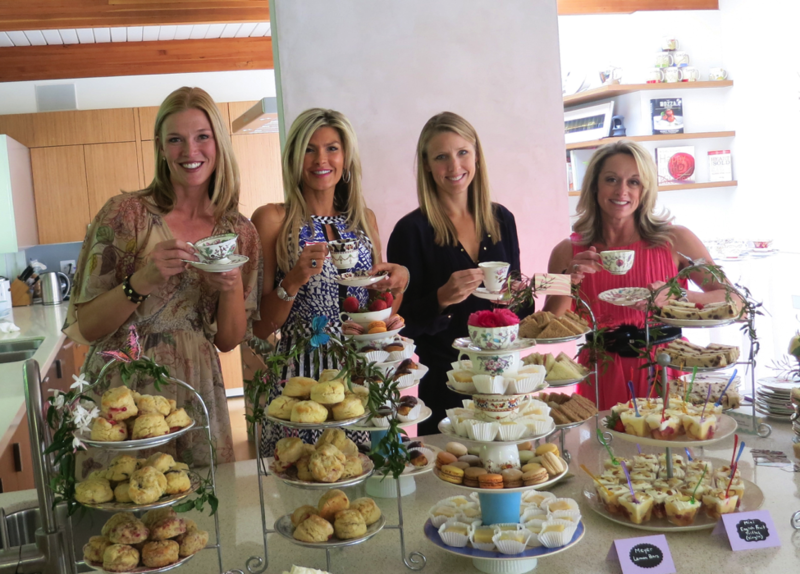 On April 5th, 2014 JDFF held it’s inaugural Ladies High Tea Event – Tea Talks if you will. The first, in a series of events to come, the Ladies High Tea is designed to bring together women from all walks of life – each bringing with her a unique perspective and expertise. Each event will include presentations from experts who represent organizations that JDFF supports and will feature an issue that JDFF is passionate about and falls under one of our five pillars: Education, Medical Needs, Water projects, Animal Rights and Human Trafficking Prevention and Recovery. 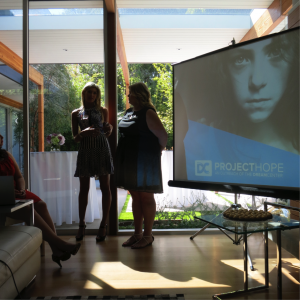 For our first event we chose to highlight the issue of Human Trafficking and were pleased to welcome presentations by Kyla Smith of Project Hope and Julie Cordua, Executive director of Thorn. Both women presented powerful information about the work their organizations are doing to combat human trafficking – one of the fastest growing criminal industries in the world. They also relayed startling and sobering statistics about the amount of human trafficking happening here in Los Angeles. 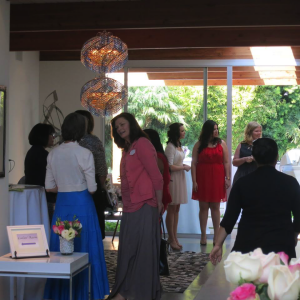 After the presentations, the ladies were able to mingle, exchange ideas and make plans to connect in the future. Who knows what next great plan of action will come from one of these meetings! Kyla Smith (left) with the staff from Project Hope and the Dream Center. The event was underwritten solely by JDFF and we asked only that each attendee bring a small donation of clothing to the event. The response was overwhelming, and we are happy to share that we collected over 30 bags and boxes of clothing and supplies that went directly to women who have been rescued by the team at Project Hope. 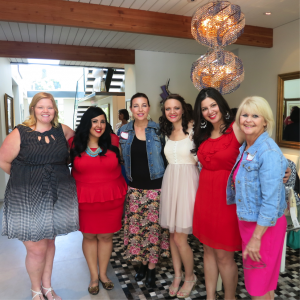 These women are on a long, but loving road to recovery and we are humbled by their strength. We are excited to see where this informative series leads, and are hopeful that by continuing to bring together like-minded organizations for in depth discussions about these tough issues, the result will be rewarding partnerships that will impact the world and start to produce the change JDFF believes is possible when efforts are combined. Guests and presenters mingle and share stories of impact and resource. 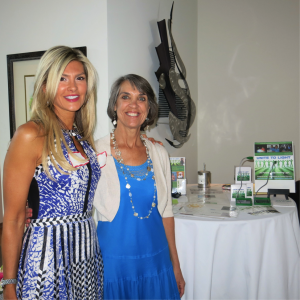 Christine with Dawn O’Bar, President of Unite To Light. 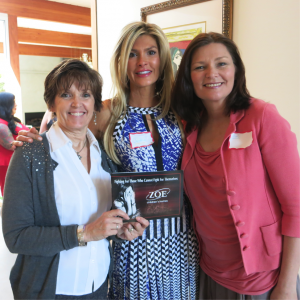 Representatives of Zoe Organization, Betsy Meenk, USA Regional Director, (left) and Program Services Manager, Marji Iacovetti pose with Christine (center) at the Ladies High Tea event. The ladies of Project Hope standing with some of the bags collected from the event. 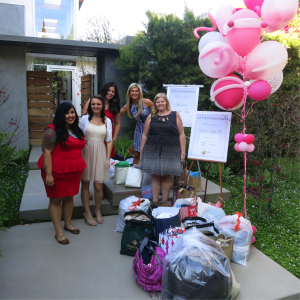 The clothes collected were given to the women rescued by the Project Hope team. To learn more about human trafficking and the work that Project Hope and Thorn are doing please visit: Project Hope at their website here, and Thorn at their website here.